To produce and supply high quality wildflower seed and plant material for landscape professionals and the consumer with a commitment to quality and service. Growers of Florida wildflowers have taken a major step toward increasing the supply of native Florida seed available for beautification, native habitat restoration projects, and consumer use. The Wildflower Seed and Plant growers Association, Inc. began operation in the spring of 2003. The officers of the association are Mr J.R. Newbold III, President, Mr Rick Johnston, Executive Vice President, and Mr Terry Zinn, Treasurer. Currently, wildflower production in Florida falls far short of demand. 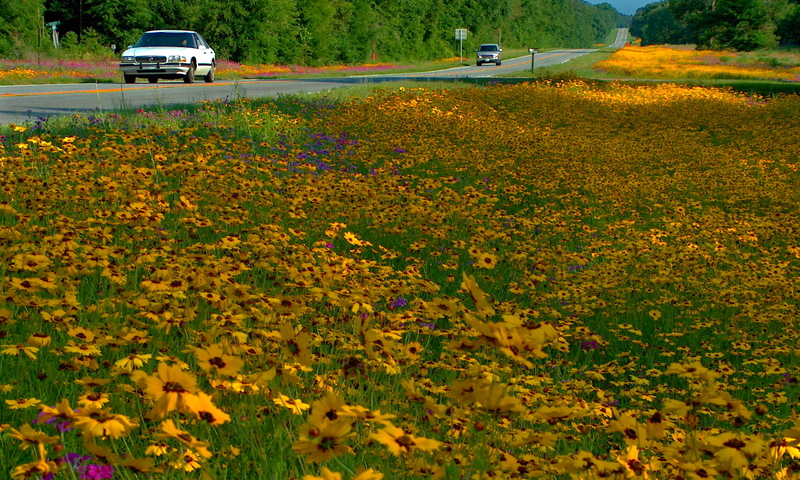 This results in seeds for native restoration, large scale Florida highway beautification projects totaling thousands of pounds annually, being purchased from major seed producing states such as Texas. A group of Florida wildflower producers, working in conjunction with the Florida Department of Agriculture and Consumer Services, and the University of Florida’s Institute of Food and Agricultural Sciences, and the Florida Wildflower Foundation is developing strategies to increase planted wildflower, and native plant acreage thereby increasing seed production to better meet the demand for native species. To request quotes, confirm availability, or if you are looking for advice on a project please email inquiries to businessmanager@floridawildflowers.com. The order process through the Wildflower Co-operative is very simple. Once you have confirmed your order with the business manager you will receive an invoice via email, mail, or fax. The invoice will include shipping / handling and Florida Sales Tax (if applicable). Payments are submitted to the mailing address found on our invoice. Once our office receives payment, our growers will be contacted with shipping information and instructions to ship. We accept checks, cash, or money orders. If you would like to use a credit card please call 352-988-8117. Thank you for your interest in Florida’s Wildflowers and also your support for our association. We look forward to hearing from you and helping with your Wildflower projects! For additional information on specific species, please visit The Atlas of Florida Vascular Plants at www.plantatlas.usf.edu.